Description: These superhero favorites are ready for action! 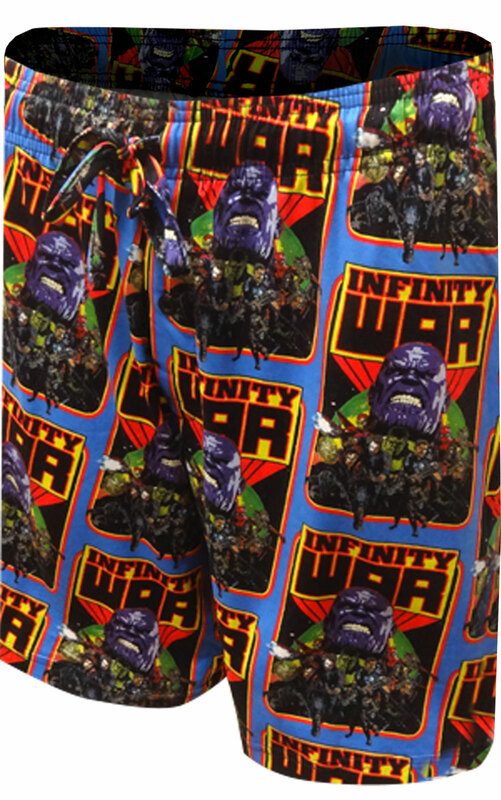 These long sleep shorts for men feature Marvel Comics' Infinity Wars characters in a really cool version of their logo. They are perfect for lounging around the house in the warmer weather. 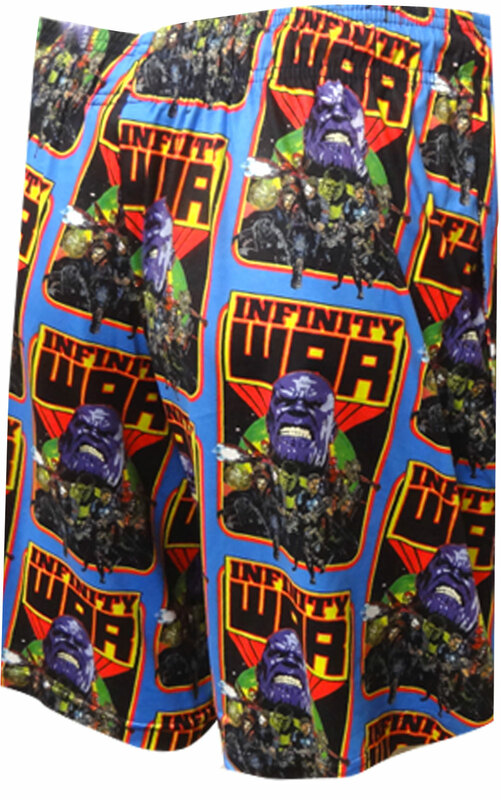 These sleep shorts are made from a performance fabric and have two pockets.